From the 1990s, more vineyards were planted away from the highly fertile plains – at Patutahi, and the Hexton hills, where growers Paul Tietjen and Geordie Witters of TW Wines named the area The Golden Slope, a play on Burgundy’s Côte-d’Or. Their individual blocks of grapes had for many years contributed to other companies’ success. Golden Slope was one of nine winegrowing sub-regions Gisborne winegrowers identified in 2005, each with unique soil and climatic features. The others were Waipaoa, Ormond, Ormond Valley, Central Valley, Riverpoint, Patutahi, Patutahi Plateau and Manutuke. Gewürztraminer initially put Gisborne on the map but such was the region’s dominance in chardonnay , local growers dubbed Gisborne the Chardonnay Capital of New Zealand in 1991 and erected promotional road signs on the two main highways into the city. What the region lacked in chardonnay awards, it gained in an enhanced reputation as a grower of quality wine. A competition for the variety was launched in 2000, the brainchild of wine enthusiast Kim Nankivell. 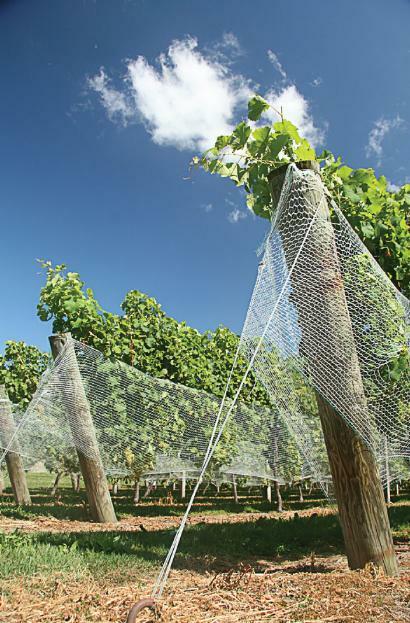 The International Chardonnay Challenge was first held under the Poverty Bay Agricultural Association banner, but the following year became the baby of the Gisborne Grape Growers’ Society. The competition grew over 10 years from an initial 225 wines to more than 500 in 2009. Gisborne’s increasing reliance on chardonnay as the predominant variety nevertheless contributed to the bottom falling out of the industry in June 2009. To correct an oversupply, Pernod Ricard (Montana), Constellation (formerly Nobilo) and Mud House drastically cut volumes from contracted growers, wiping about a quarter from the local tonnage. Gisborne was by then producing more than a third of the country’s 33,000 tonnes of chardonnay, most of it for Lindauer. Growers were shocked but not surprised– warning signs had been around for two years. A few lucky growers kept their contracts, some had two years’ notice and others – many of whom had grown for Montana for years – were cut completely. Some wasted no time in pulling out vines; other hoped for alternative contracts. But the big companies had made their decision and that included downgrading Gisborne to commodity wine producer status. Gone with the big companies were the old Labels such as Montana Ormond ‘O’ Chardonnay, Matua Valley Judd Estate and Nobilo Dixon Estate Chardonnay, deposited onto the multinational junk-heap of history. Or so they thought….meantime a new raft of smaller producers set about developing new labels, new stories and most importantly, a new generation of Chardonnays which are again winning the consumers attention. Treading a path down the chardonnay middle ground, Gisborne’s specialist producers are leaving the unoaked stainless tank chardonnays to the multinational’s and the supermarkets, and instead a new array of Gisborne Classic Chardonnays” with generous qualities but a more restrained approach from winemakers, are coming to the fore.